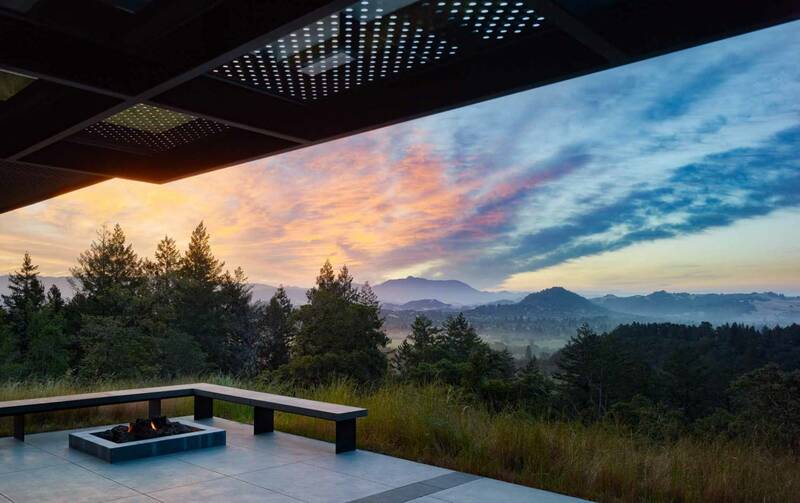 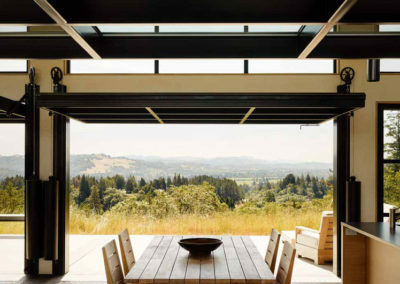 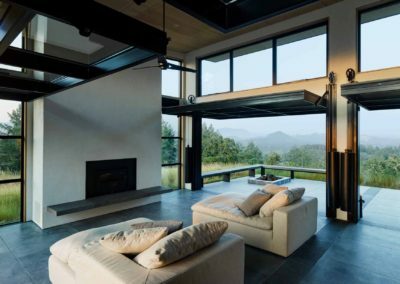 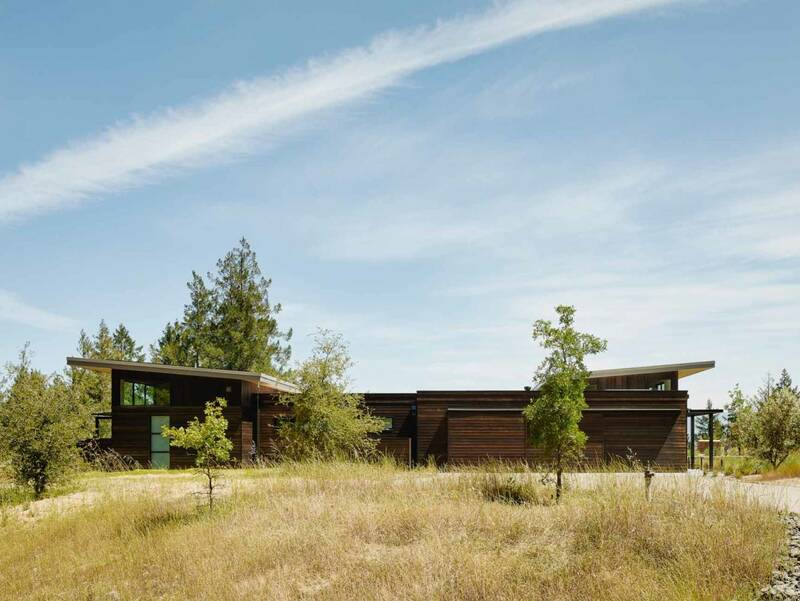 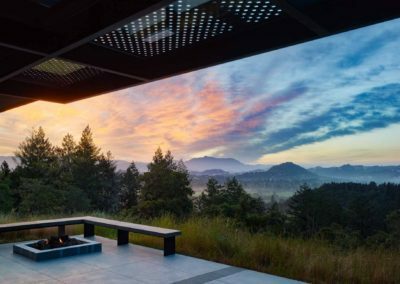 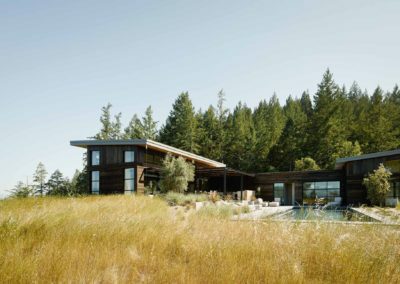 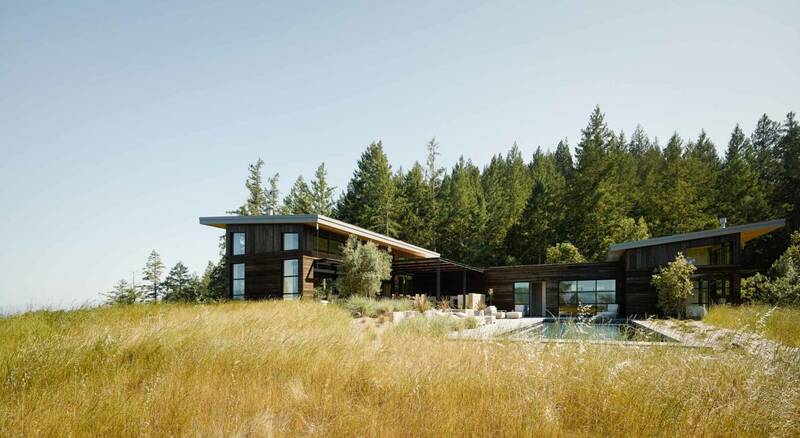 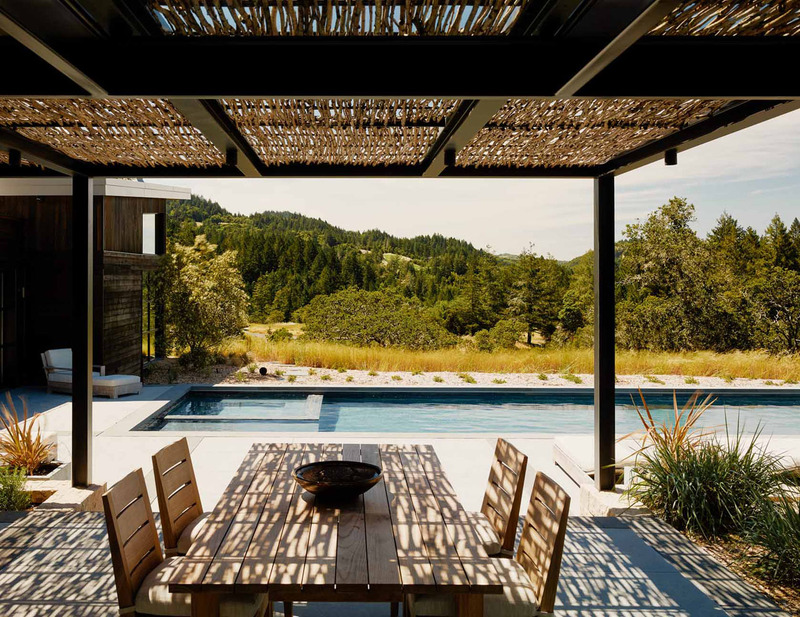 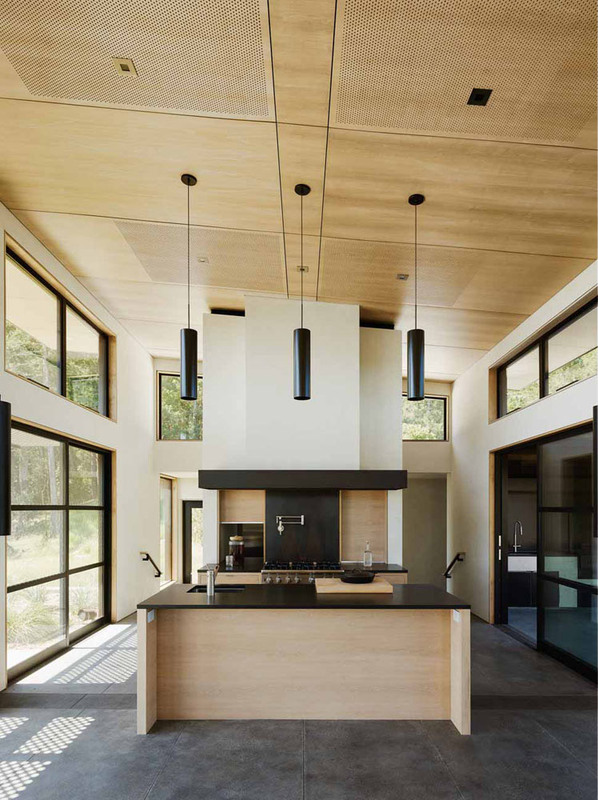 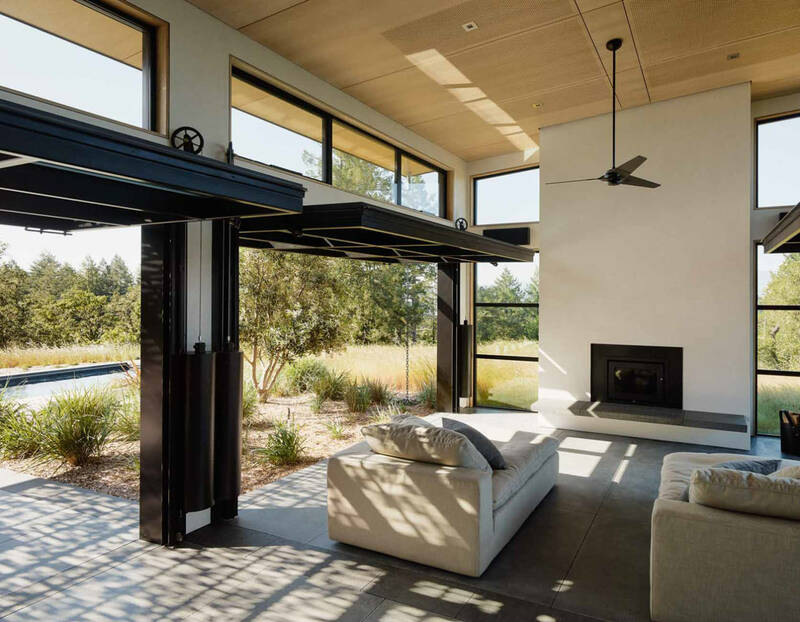 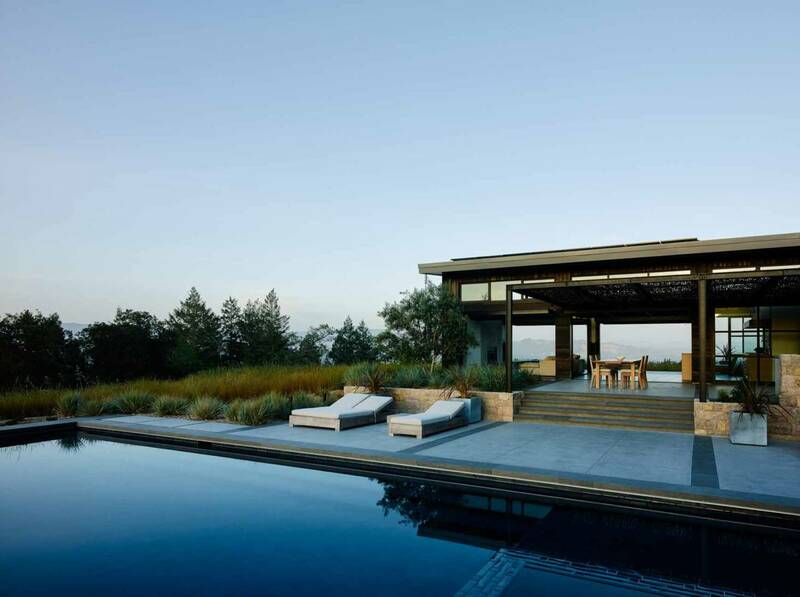 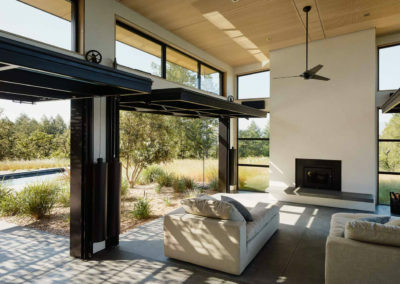 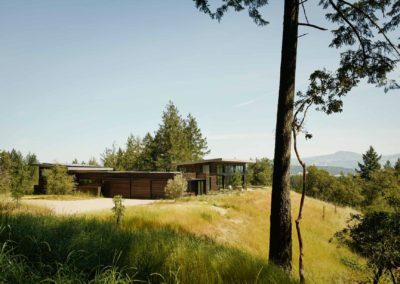 Comprised of two perpendicular bars atop a hill overlooking the village of Healdsburg, this home offers both ample social space ideal for entertaining and the privacy of a rural retreat. 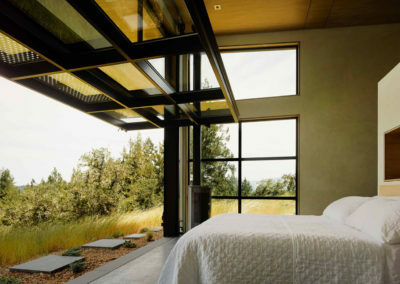 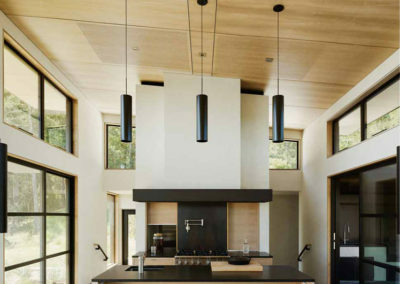 The taller section runs along the ridge of the hill and houses the home’s great room. 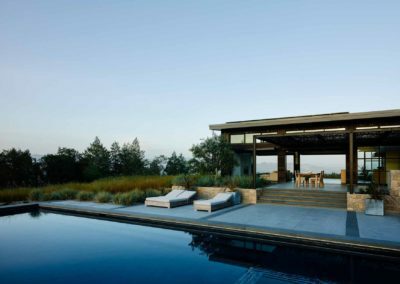 Four oversized glass panels open dramatically on each side, transforming the space into an outdoor pavilion whose flush concrete floors extend into a poolside patio to the north and into a terrace featuring a fire pit to the south to offer comfortable outdoor areas for both hot and cool weather. 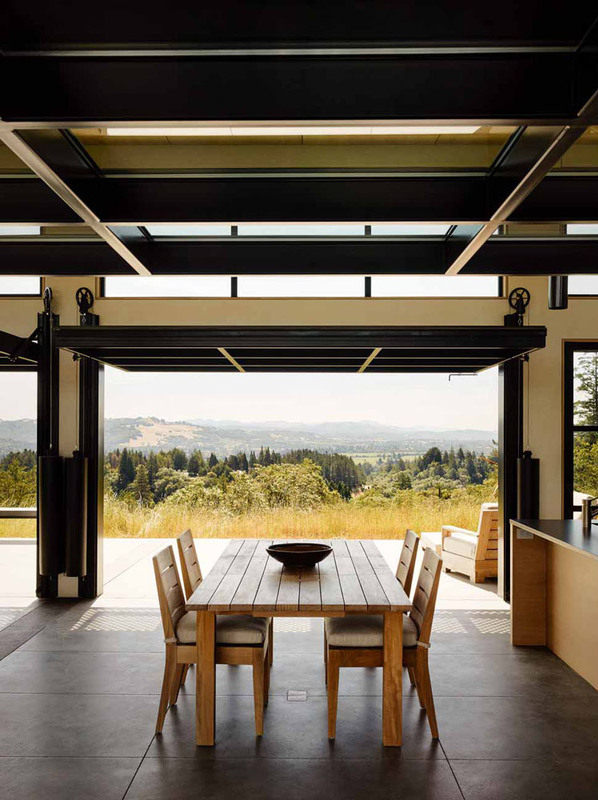 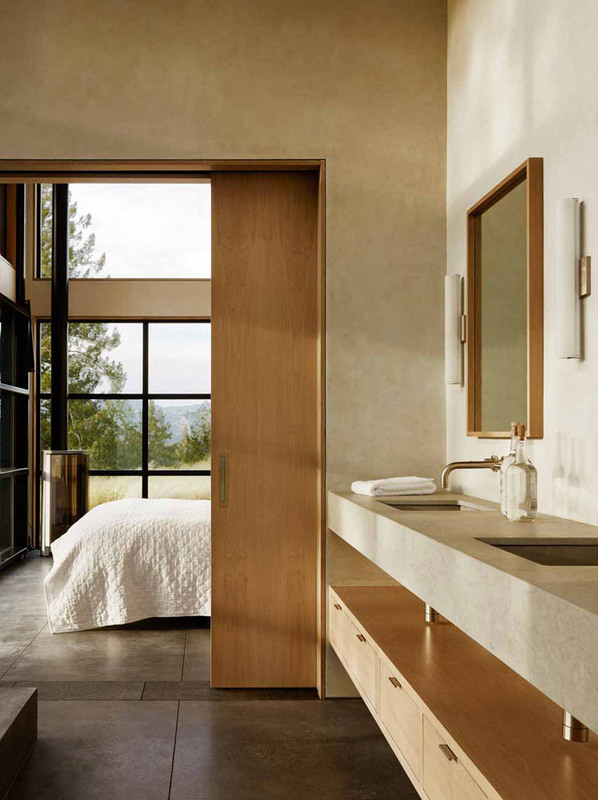 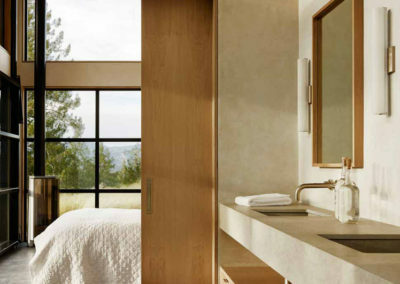 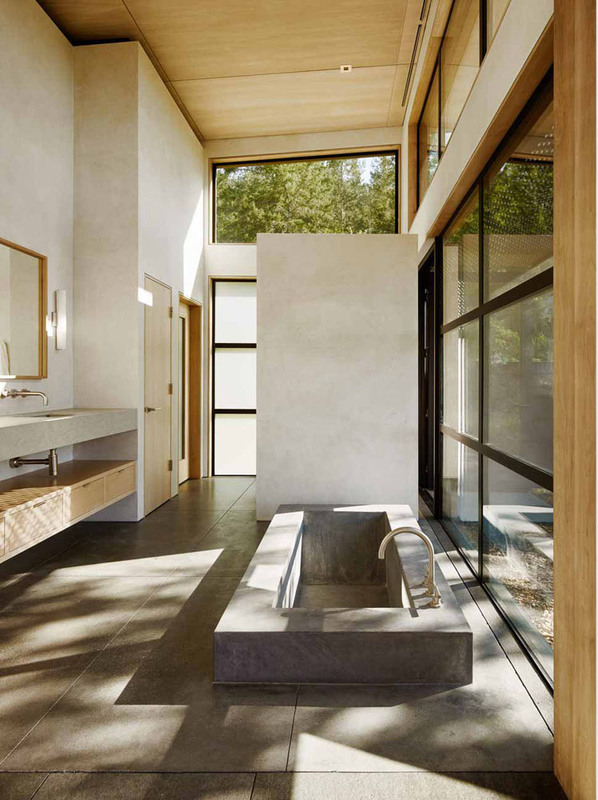 With these doors drawn up, the site offers one sweeping, continuous view from the pool, through the great room, and down into the distant village below. 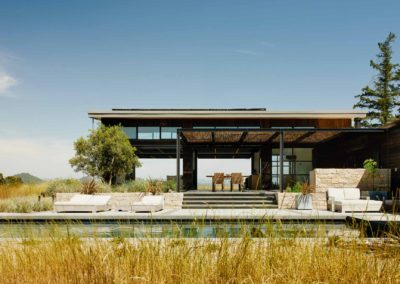 From its intersection with the great room, the home’s second wing extends towards the north and becomes incrementally more private as it flows from the garage to a media room opening onto the pool to the master bedroom at its rear. 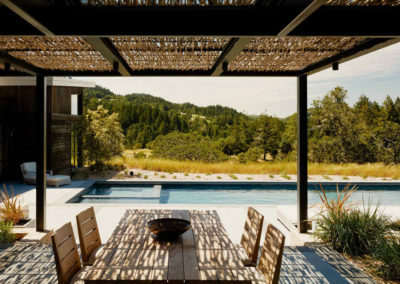 Just a short walk away, a guesthouse down the hill and offers an additional level of privacy.